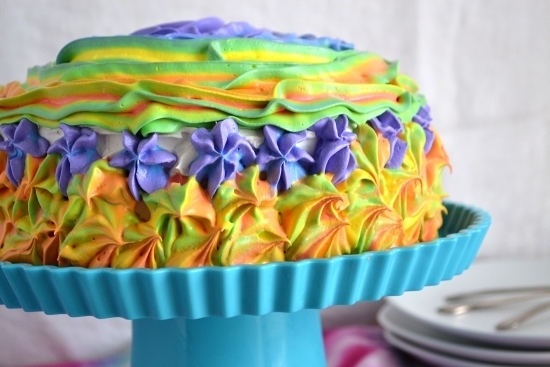 Tired of seeing all those boring tie-dyed rainbow cakes? 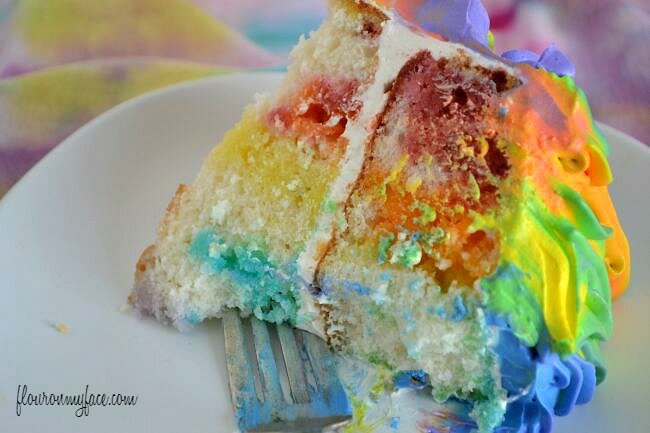 Take a rainbow cake to the next level and make a Rainbow Jello Poke Cake. A few weeks ago when I participated in the #SundaySupper Retro Recipe Party I brought to you a Strawberry Jello Poke Cake. After I made that Strawberry Jello Poke Cake my imagination ran wild with the possibilities. You could literally customize a Jello Poke cake for just about any occasion, holiday or party theme by using different flavored jello to make a poke cake. That is just a few ideas right off the top of my head. Birthday Party Poke cakes could be customized for any birthday party theme. They are so pretty and make such a beautiful presentation with the jello colors running through a white cake base. 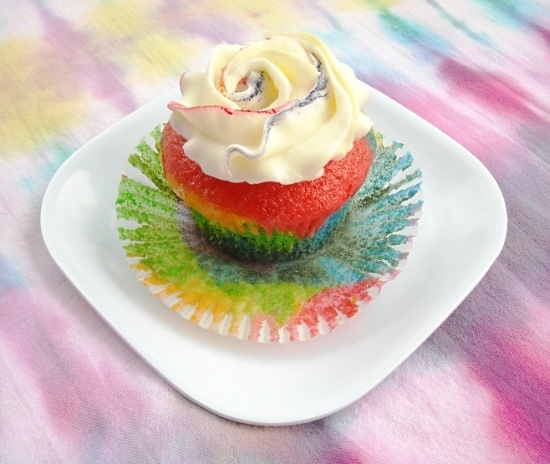 Rainbow themed cakes and cupcakes are also beautiful. A few years ago I made Rainbow Cupcakes for one of my granddaughters rainbow themed birthday party. They were a big hit. Everyone loved them. I’m not going to go into the How To Make a Jello Poke Cake directions this time because I pretty much covered that already in the #SundaySupper post. For my Rainbow Poke Cake, I also made a rainbow frosting. It didn’t turn out the exact way I envisioned it, but I still think it turned out gorgeous. What do you think? Here is a close up picture of the Rainbow frosting so you can see how the rainbow colors blend together nicely on the cake. I used my newest favorite frosting on this cake also. The new Cool Whip Vanilla Frosting is so good. 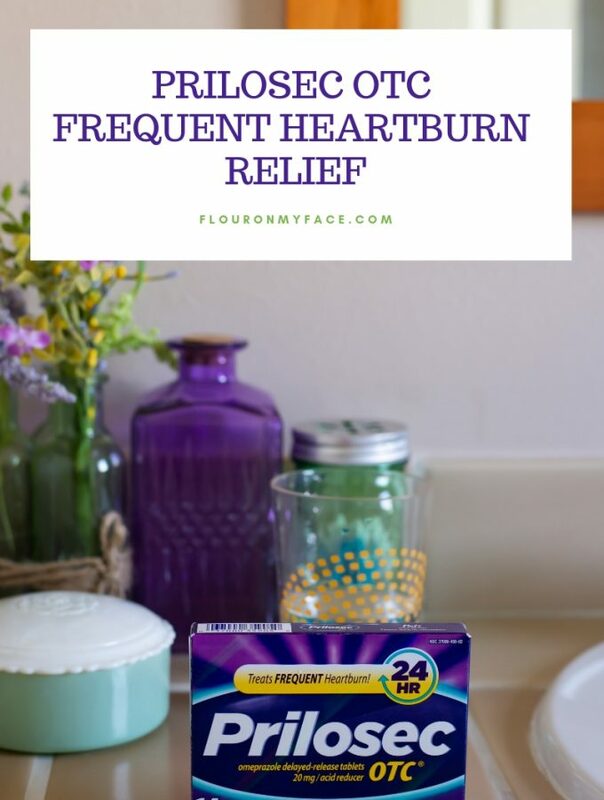 If you have not tried it yet walk no run to the store and grab a few containers. They keep in the freezer forever. 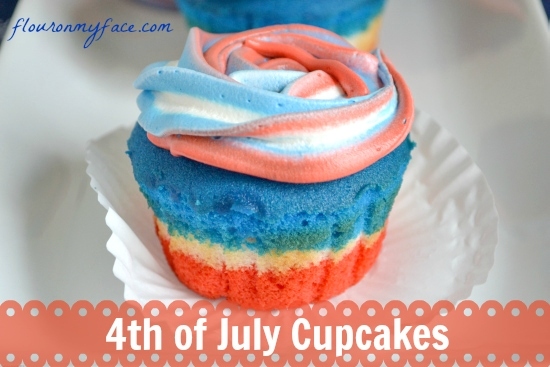 If you would like to make a rainbow frosting you can find the directions here in my 4th of July Cupcake recipe post. Disclosure: This is not a compensated post or advertisement for the Cool Whip Frosting. I seriously am in the love with that stuff and once you try it you will be too! My mom makes a very similar cake every year for my dad’s birthday, except we call it “pop cake”. She makes the jello with pop instead of water. Our favorite is an orange flavored cake, with orange jello made with Orange Crush. She tops it with a cool whip and vanilla pudding frosting. Heaven! Wow!! That does look fabulous!!! oh my gosh how pretty! Thank you so much. I hope you and your family enjoy this cake as much as we did! 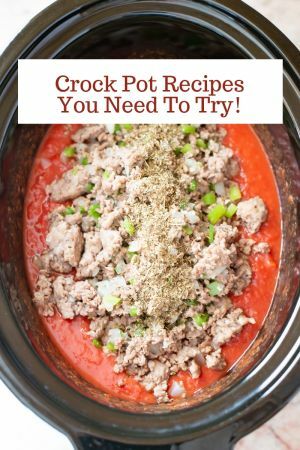 I’m not a cook, but am trying to make at least three recipes every holiday for the family get together. This is going to be a truly stupid question for all those cooks out there, although here goes. I understand how you did the strawberry cake with one color Jello, but how do you pour the various colors onto the cake and keep them separate rather the having them all mix together and comping up with one ugly color? I may have to write a tutorial with step by step pictures on this but what I did was just like the strawberry poke cake I poked holes in the cake but for the Rainbow one I poked the first round of holes for the first color jello. I poured that color, put the cake in the fridge to let the jello set up then I poked the next round and did the same thing. I did that for each of the separate colors. I used a flexible cup that I could bend into a pouring spout so I had more control over how the liquid jello poured and very carefully poured each color. It’s okay if some of each color runs on the cake top you just don’t want each color soaking the other sections of the cake. That cake looks fabulous! 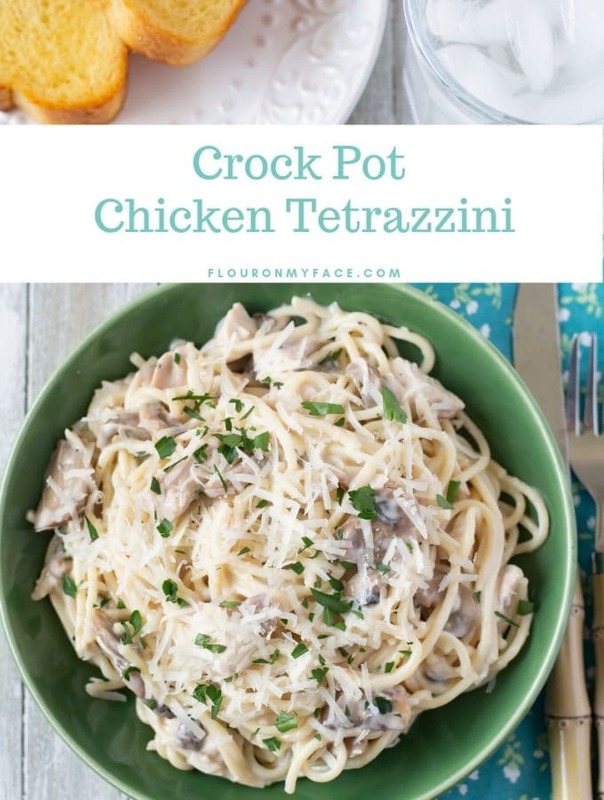 I’d love for you to link this up to Wonderful Food Wednesday this week.. or one or two other recipes if you’d like. We’re always ready to go on All She Cooks at 7pm Central on Tuesday, if you’d like to join us. Thank you so much!If you’d like to send me a reminder when your linky goes live that would be great! Hi, another person who bakes on occasion. I’m glad someone asked how you kept the colours separate because I wasn’t even thinking about that. My question is: does the cake now have jello parts? My family were chocolate pudding people so I’m unfamiliar with how the jello might change the texture of the cake. The texture of the jello is not noticeable in the cake. The cake absorbs the jello so it like biting into a piece of moist cake not a piece of jello. How did you get the frosting to be swirled in all those colors? If you read through the comments you will see where I explain how I loaded a pastry bag to decorate the cake. I want to surprise my wife and make this cake for her for her b-day. 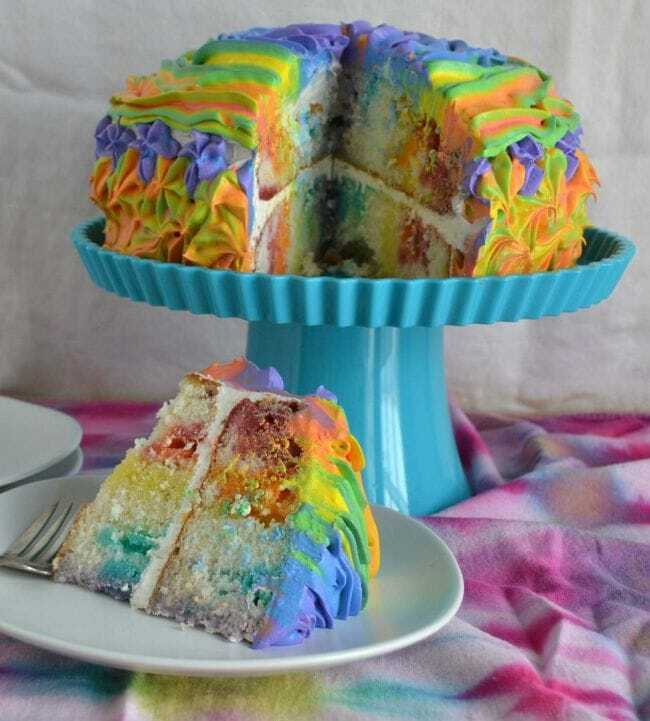 Ambitious project for me, and to start, I have scoured the comments and cannot find where you explain how to make the rainbow frosting like that. Not off to a good start I guess. Can you point me in the right direction? So sorry. I just remembered that I replied privately to a few commenters. When is your wifes birthday and how much experience do you have in cake decorating? Her birthday is in a week. I don’t have any official experience, but I have some basic frosting/decorating tools, and I try something different ever year for her birthday! 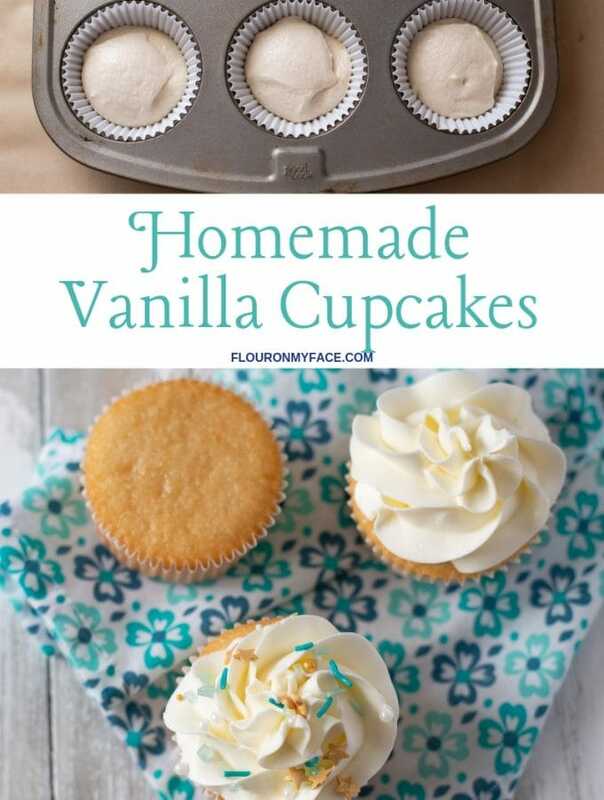 Any advice on how to make the frosting look like that with all of the colors would be awesome, she will love it! Okay glad to here you have some basic skills. I am planning on writing a blog post with instructions on this technique. I have searched this site over and over to find the exact recipe for Rainbow Poke Cake, to no avail. 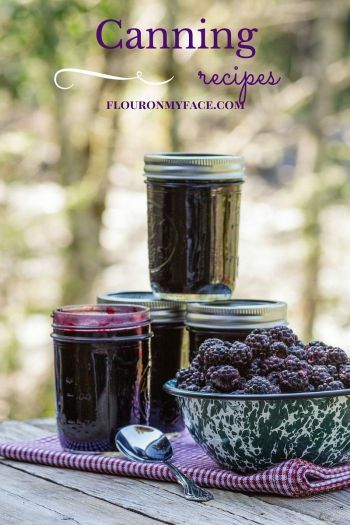 I searched under #Sunday Supper post, and everywhere else. Even my granddaughter (who is 6) tried a search. 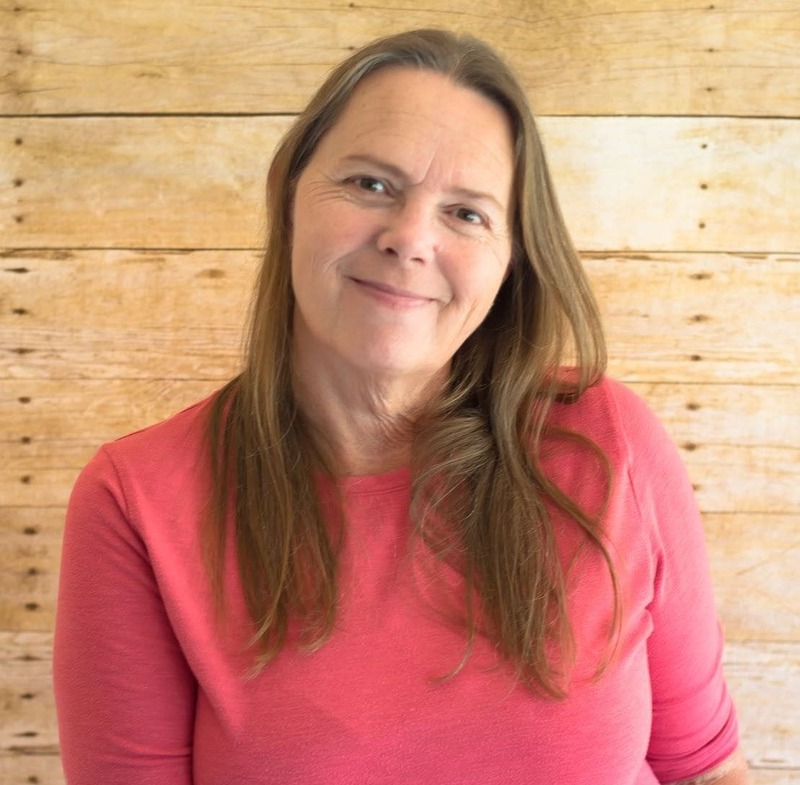 The other day, she and I looked for an hour on the net for the perfect birthday cake for her birthday, which is next Monday, June 17, and when she saw the pic of the Rainbow Poke Cake, she said “That’s the one I want!” I want to buy the ingredients but cannot for the life of me find the recipe. Would you mind directing me to the recipe? Thanks!! I am so sorry but the recipe or directions have not been posted. If you see the comment to Susie I explain how I made the jello poke cake. For the icing I loaded a Wilton decorator bag with a large closed star tip with colored frosting, one color at a time for each color of the rainbow. 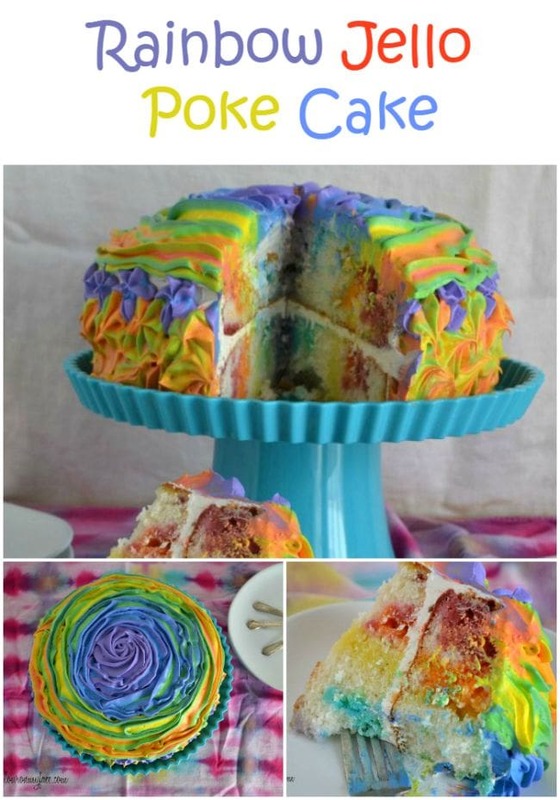 I want to make the rainbow poke cake for my daughter’s 5th grade cake auction. I see the directions for the cake. But not for the rainbow frosting. Did you ever post the blog on how to make it that you mentioned in the comments? Any help is greatly appreciated. Wondering if the poked cake is stable enough to level? I was planning on two layers and have learned the hard way that I must level my cake. Maybe if I do the leveling right out of the fridge? Thanks. This is a fun cake. It helps if you don’t spread the center frosting all the way to the edge of the cake and use a stiffer frosting. You can also level the top of the bottom layer so it is flat. Also keep the cake well chilled so the frosting doesn’t get soft. My daughter wants a pineapple layered birthday cake. I want to use the pineapple jello to get the flavor BUT, I want the cake layers to have different colors – pink, orange and yellow – 3 layers, 3 different colors (the frosting will match the cake color). My question is: the pineapple jello will turn my white box cake yellow, can I add gel color into the batter and get said gel color, or will the color turn weird because of the yellow in the jello mix? The pineapple jello will be yellow and when you poke it through the pink and orange cake layers it is going to change colors. You can use gel food coloring to change the color of the white cake mix to pink, orange and yellow. The fun thing of a Jello Poke Cake is the streaks of color from the Jello. 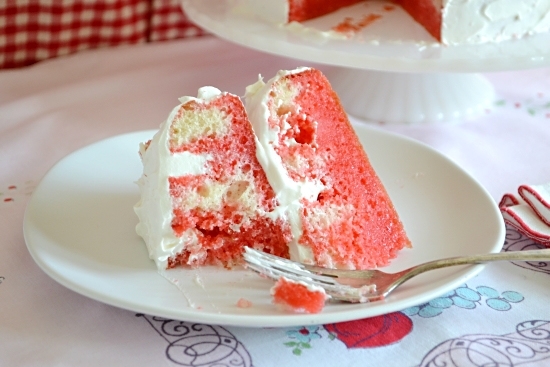 Since you are making a three layer cake you could make the cake white, poke with the yellow jello and instead of coloring the cake mix you could color the frosting instead and make the two inside layers different colors and then frost the outside of the cake another color or even white. If you are in the US Pillsbury has some very vibrant Funfetti frosting that comes in bright pink, orange, purple, green and blue. I love this gorgeous cake!